The Founder of #MeWeSyria and Director of Storytelling Innovation for Ashoka’s Youth Venture sits down with Al Jazeera America for a First Person Report on how the Syria’s youth are decentralizing the power of narrative and tapping into their inner changemakers through the storytelling for changemakers program, #MeWeSyria. Produced by Tom Ranzweiler, Al Jazeera America and featuring behind the scenes clips of the #MeWeSyria program operating in Zaatari refugee with host NGO, Questscope. Learn more at bit.ly/meweunite. Support Questscope at www.questscope.org. The #MeWeSyria program is possible thanks to support from Germany. 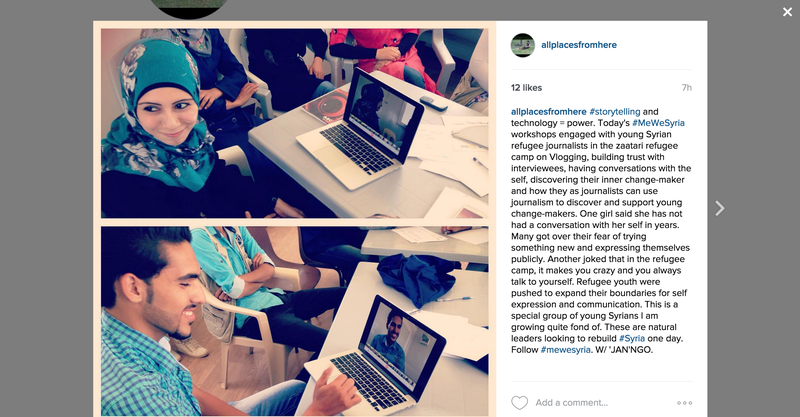 As promised, Al Jazeera America tonight is airing a news piece on my‪#‎MeWeSyria‬ project with Syrian refugees in Zaatari refugee camp. I have no idea how they will edit the piece, but I hope the interview shines a light on the brilliance, bravery and humanity and creative capital of Syria’s youth. Syria’s youth and its refugees are the solution, not the problem. They and we are all changemakers. Hopefully the Al Jazeera story tonight will feature the hard work of my refugee partners inside the camps who are part ofQuestscope: Nadin Ehraki Almajd Kh Alaa Scope Reema Hmd. 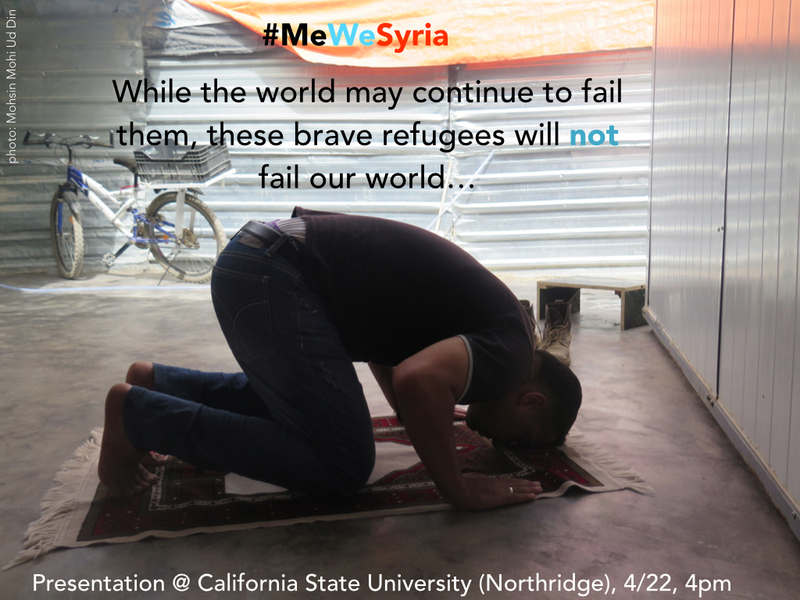 Tune into Al Jazeera America tonight 8pm or follow hashtag #MeWeSyria for more. 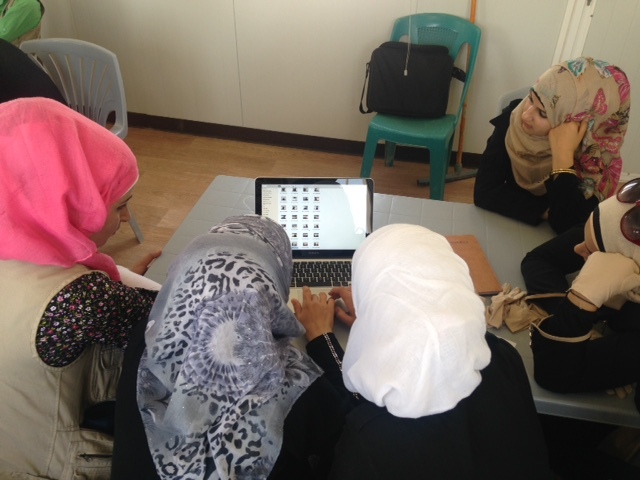 The power of #storytelling and creative enterprise can redefine the narratives surrounding #Syria‘s youth and its #refugees, and the process of creative enterprise can lead to experiential learning of how to be a changemaker.